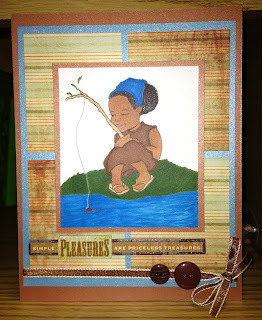 Stamping In Living Color: Sketch Challenge Entry - "Anything Goes"
Sketch Challenge Entry - "Anything Goes"
I love when I have an opportunity to create cards based on a specific sketch. My DT assignment for May was to use a Robert Jackson image of my choice with four individual tiles as a back-drop. As with every card I make, I begin with a color scheme that strikes my fancy, then add embellishments that compliment the image. Both the patterned paper and card stock are by DCWV, the ribbon by Martha Stewart, buttons by Basic Grey, and the adhesive chipboard sticker is from Studio112 (K&Company). 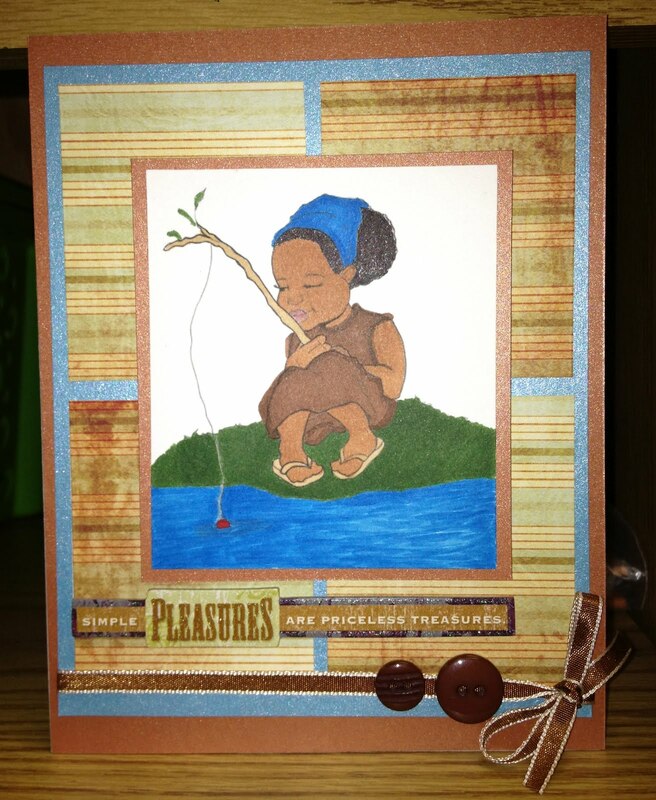 The adorable image is entitled "Phoebe Fishing" and she was colored with Copic Markers. You can check out the beautiful cards by my DT members at Jackson's Digital Expressions. Darling image! Grey coloring and the dp pulls it all together nicely! 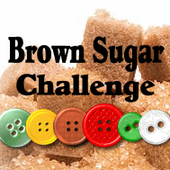 It's the "Sweet Sunday Sketch Challenge No. 158!" Love for Mo's Digital Pencil Images!